The ongoing, evolving situation at Penn State continues to raise eyebrows and churn stomachs as details continue to emerge from State College. Last week I had the opportunity to diverge from my traditional, good humored spot on ESPN Radio and breakdown the player’s perspective on what I saw as a systemic failure of accountability at one of the nation’s premiere football and academic institutions. I realized that my perspective might not be a little “out of touch” as far as the college football players perspective; but I am not and never have been a student at Penn State. My experience at PSU is limited to recruiting visits and football camps. So I decided to reach out to a current Penn State student. I originally intended to craft a piece pulling quotes from her answers to my broad stroke instructions, “Give students perspective on the firing and the atmosphere on campus.” Instead, I offer her response in its (powerful) entirety. This past week has been extremely emotional for everyone here at Penn State. 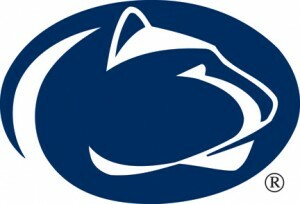 A mix of emotions from anger, to hurt, to betrayal, to heartbreak has turned Happy Valley into a somber, solemn place. We hurt because the man who has represented our beloved University as a symbol of honor and integrity for 46 years has been revealed to be so much less of what we thought we loved and cherished so deeply. We question how this horrible scandal will affect our degrees and reputation, that only a few days ago were held in such high esteem, when we are finally faced in the real world. But above all, we hurt because of the disgusting crimes Jerry Sandusky committed and the lives he destroyed so close to our home. For a University whose students have single-handedly created the largest student-run philanthropy in the world for children with cancer to have to turn around and apologize for crimes against children, harming them in the worst way possible, is absolutely disgraceful and horrifying. I hope that the rest of the nation will place the blame on those who rightfully deserve it and not denounce the students for this man’s actions. As for those who rioted on behalf of Joe Pa’s firing, coming from a person who has spoken to many and saw the events occur downtown, it is not because they were protecting a child molester. It was because the center of their Penn State world was taken away in such a blunt, aggressive way, that causing commotion was the only outlet to that anger. I also feel that at that point, many did not understand what exactly the means of Joe Paterno’s allegations were, failing to have read the Grand Jury Indictment yet. However, I also can say with all honesty that these people represented such a small portion of the student body, and that their actions are insignificant compared to how the majority of the students reacted to this situation. I hope that how the media portrayed Penn State that night does not overshadow the more prominent events that actually took place here in University Park this weekend. On Friday night, a candle light vigil was organized by the students held on the lawn of Old Main, our Central Administrative Building, to pay our respect and show support for the victims of child abuse and sexual assault. Over ten thousands students huddled together as we reflected in silence, listened to many inspiring speeches from our peers, and created a new mission to “fight until no child is harmed again.” That night we vowed that our call of duty was to rise above these allegations, and I believe that the students will continue to do so to no prevail. On Saturday, Beaver Stadium flooded in a sea of intense emotion and the color blue as the students dedicated the game to victims of child abuse in a “Blue Out”. Never before have I seen the stadium more packed or a heard a more powerful “We Are” chant– even as the players exited the field after losing to Nebraska. We may have thought we lost our center of Penn State Football due to the recent events, but at that moment, I think each of us realized that the essence of Penn State isn’t Joe Paterno, it is the students and the players that make it so special. We came together that day for the victims and the players, not for Joe Pa’s “legacy.” We showed that amidst the crumbling of what we thought was Penn State, we would stick together stronger than ever and focus on what the real issues were, and those were the children affected. These are the first of many evolving events that are going to show the nation that Penn State is not Jerry Sandusky or the rest of the people involved with the scandal. We all feel betrayed and repulsed by the actions (or lack thereof) brought upon by the leaders of our school, but we will not let them define us as students and will fight until our name is honorable once again. From the outside looking in, you would never understand that the Penn State student body grew stronger than ever this past weekend. We will continue to grow through this scandal to better our University beyond what it was in the past. I could not be less proud of the actions of the men I once respected, but I will always be proud to be a Penn Stater and that I can say with my whole heart.